However, many who have studied the law say not only is that claim unfounded, but also that ESSA actually imposes Common Core on the entire country. Parent activists and education scholars who have studied the law, however, assert ESSA neither repeals the Common Core mandate, nor prohibits the education secretary from coercing states into adopting the standards. In fact, those who have been battling against the Common Core in the states say ESSA actually does the opposite: it keeps states anchored to the controversial education reform. For example, while NCLB never dictated any state alignment for academic standards, ESSA requires every state to submit its plan for standards for approval to the U.S. Department of Education. “Each State shall demonstrate that the challenging academic standards are aligned with entrance requirements for credit-bearing coursework in the system of public higher education in the State and relevant State career and technical education standards.” This is simply another way of saying states must have “college- and career-ready” standards. And as made clear by the U.S. Department of Education’s own materials, “college- and career-ready” means Common Core. 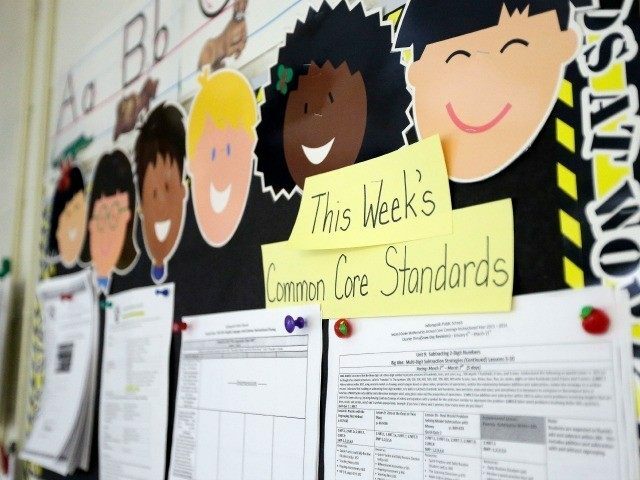 Establishment Republicans have learned not to use Common Core’s “toxic” name. As a result, many state legislatures have simply “rebranded” or renamed the Common Core standards with local flavor names. The standards themselves, however, remain relatively unchanged, save for a few tweaks. Neal McCluskey, education director at Cato Institute, observed the vague language of ESSA was a serious concern for those who want to return education policy to the states, as provided in the Constitution. “While the spirit and rhetoric surrounding the ESSA is about breaking down federal strictures … the statute includes language vague enough that it could allow federal control by education secretary veto,” he wrote. “And as for Alexander, Kline, and Ryan — they have simply betrayed their constituents, especially the last few who actually believed any integrity remained in the Republican establishment,” he concludes.